I am so happy to have a dear friend to chit-chat today, after some busy days and a long event round-up, I wanted something to kick start my blogging and sure enough my dear friend Suja Manoj aka chechi that's how I call her, came forward with a lovely sweet post. Suja Manoj is one person that I really admire for her versatile cooking skills and her down to earth nature. Truly the virtual world is not so cold as people think, blogging did give a good bunch of friends and of course being a food blogger we have many friends who share the same enthusiasm towards food. 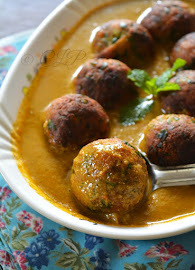 Suja is one among my good friends, do check out her blog Kitchen corner try it. You will find drool-worthy recipes from our very own Kerala and also innovative bakes to die for. Personally I have tried many of her recipes, few of them are Sesame Ladoo, Coconut Prawn fry and so on. Thank you so much chechi for taking your time off and sending a lovely recipe. 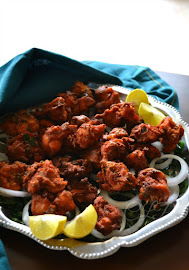 Priya ~ Chechi what is your favorite ingredient that you never miss in your secret curries? Suja ~ My favorite ingredient is fennel seeds/fennel powder and curry leaves. In my garam masala I add an extra ingredient, a little of fenugreek powder. I feel it helps to enhance the flavor. Priya ~ Tell us about your interest in cooking, from who did you learn to cook and when? Suja ~ I love to cook and try different recipes. Learned cooking from my mom and also from my grand mother. I did not do much of cooking before marriage,but mom taught me some basic recipes and always encouraged me to experiment. She always say's try to understand why a recipe is unique and what ingredient makes it special. It also helps when things go wrong.I love my mom,she is a good teacher. Suja ~ Thanks Priya, I was new to baking and started baking only after marriage. I still remember those days when I tried to avoid using my oven. I did not even dare to mix all the ingredients and bake :) Finally I decided to bake a cake on our Wedding Anniversary. Thank God! I did not ruin the day! The first site I stumbled upon was Joy of Baking.com and it is still my favorite. I also love the ease with which Nigella Lawson and Lorraine Pascale bakes. They are just amazing! 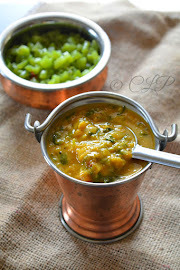 Priya ~ You are a busy mom, great cook and a seasoned blogger, what's your next aspiration? Do you have a dream that you wish to become reality someday? Suja ~ I am a busy mom, I have a son and he is in Kindergarten and I am glad my family enjoys the food I cook. Blogging is definitely my dream come true.I always wished to write down the family recipes and my mom and grandmother special recipes. It was my husband who introduced me to blogging world and I am glad he did :) I want to improve my photography and also make my blog a space where my friends and other family members can share their recipes. Priya ~ Being a creative person that you are I am sure you have other hobbies apart from cooking, what are they? Suja ~ I am a home maker, so I need to do cooking every day. But I am passionate about cooking and thoroughly enjoy my time cooking and baking. The thing I equally enjoy is reading and blogging. I am trying to acquire food photography skills too.So I try to read as much material as possible. I also love knitting and DIY projects for home decor..
Today's recipe is a Dulce de leche Chocolate Burfi. Burfi is one of my favorite sweets and there are different types of burfi available. You can tweak with different ingredients and flavors and yet you will never go wrong. Recently I tasted chocolate burfi and really loved the taste. This fudge has chocolate and the intense flavor of caramel from dulce de leche. Try this,you will surely love it. Grease the tray you want to set the fudge in with 1 tsp ghee. Set aside. In a heavy bottom pan, melt the 4 tbsp ghee on a low heat. Add the ricotta cheese and stir for 5-6 minutes. It will loosen up first but continue to stir until it smells fragrant and slightly changes color. Add powdered cashew nut and continue to stir and cook. Add the cardamom powder and mix well.Next add dulce de leche and stir. It will start to loosen a bit but it will soon come together. Continue to stir till it leaves the sides of the pan. Cook for another 1-2 minutes. Put off the heat. Add the grated chocolate and mix till it is well incorporated. Transfer the mixture into the greased tray and spread evenly. Let it cool down completely for about an hour Refrigerate for about an hour to make it firm and then cut into desired shape and serve. Thanks so much Priya for this wonderful opportunity,love your space & happy to be your guest..As always love chit chatting with you :)Have a nice day! Yummy , delicious, i am out of words for this cake. 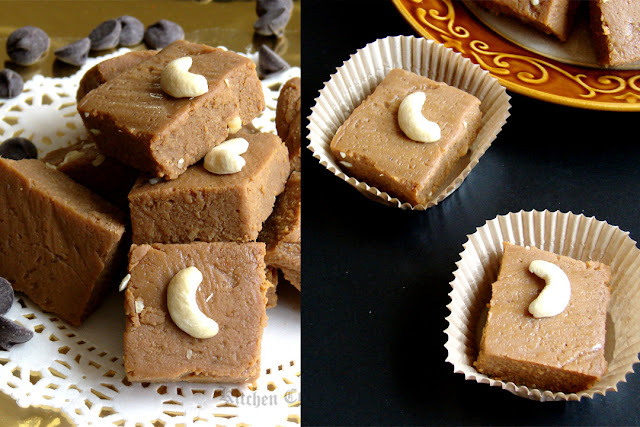 Delicious chocolate burfi, suja, wonderful guest post, You put it very well priya. Suja, dulce de leche is my fav icecream.. looks like barfi'll be my new favorite! Glad to know about a wonderful blogger Suja, loved that chitchat Sis. Btw never thought of making a burfi with dulce de leche and chocolate,very brilliant and droolworthy. Lovely Guest! Nice to know more about Suja, this chocolate burfi sounds so rich n delicious...well presented n inviting pics...Great Effort Priya!! Ur chit chat was entertaining...good t to know more about u Suja..grt post and very tempting burfi !! wonderful guest post. Lovely chit chat. Looks tempting burfi. 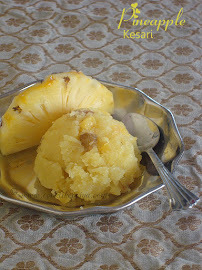 Nice to know more about Suja.. She is a wonderful blogger..
Burfi looks so yummy and nice clicks too..
looks very nice.. and a lovely post to.. kudos guys! Holy moly, what a delicious treat! 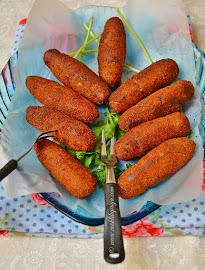 I love this QnA post.. very interactive and great read along with a great recipe! I love this QnA post, very interactive and a good read along with a super recipe! Its very tempting and thanks for sharing the recipe. Thank you Priya,for bringing it out of Suja.She is one of the nicest persons I have come across in life.Loved that interview part..Nice recipe as usual..Congrats both of you ! wow wow... ddl in barfi form... lovely!!! i am a big fan of sujachechi's page as well... very nice post! yummy yummy .... looks so delicious. Wow Burfi looks very very Tempting..... Loved it. Very different and very tempting too, I like dulce de leche, this shud've tasted awesome..